Quality time love language in a relationship : what does it mean for me ? Are you energized when you spend time with other people? Do you suffer when the others don’t make time for you? Are you feeling hurt when the dates are postponed and you feel people are not listening to you? In this case you might have quality time as your primary love language. What’s Quality Time love language? Quality Time is giving someone your undivided attention and spending not necessarily a lot of time, but putting aside some time to enjoy an activity together in a relationship, with friends and family. We all need quality time in our relationships and we fail when we think that a message, a call or 5 minute conversation would be enough. It’s not and for me it’s very frustrating to see that people settle for less. In his revolutionary book, The 5 love languages, Gary Chapman invites us to discover these languages: words of affirmation, quality time, physical touch, receiving gifs and acts of service. All of them are important and knowing them will help enhance our relationships, but Quality Time is somewhat a language that we all want to have with our loved ones. In the Quality Time love language I identify two important things we can improve in order to feel happier in our relationship. First, it’s important to have quality conversations, not staying in the superficial chatting, but going way deeper and sharing bits of who we really are, what we want and what we need. Open, honest conversations can encourage the others to open up. Second, quality activities are crucial to get to know the persons in our life, do what we like and experience something together that we both like: use your imagination and do fun things together from a sport activity to cooking together, travelling together or any other activity that can help you both know each other better and have an amazing connection. 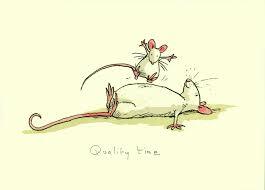 What does not mean Quality time? I think it’s crucial to be aware of our love language and to be able to speak it, so I encourage you to make time to do this test : discover it, share it, make it grow!